The subject of magnetostatics - the mathematical theory that describes the forces and fields resulting from the steady flow of electrical currents - has a long history. 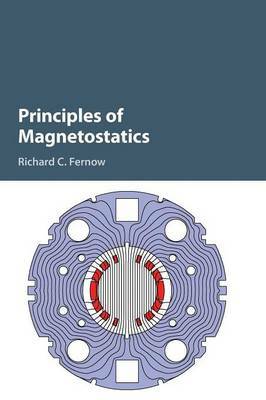 By capturing the basic concepts, and building towards the computation of magnetic fields, this book is a self-contained discussion of the major subjects in magnetostatics. Overviews of Maxwell's equations, the Poisson equation, and boundary value problems pave the way for dealing with fields from transverse, axial and periodic magnetic arrangements and assemblies of permanent magnets. Examples from accelerator and beam physics give up-to-date context to the theory. Furthermore, both complex contour integration and numerical techniques (including finite difference, finite element, and integral equation methods) for calculating magnetic fields are discussed in detail with plentiful examples. Both theoretical and practical information on carefully selected topics make this a one-stop reference for magnet designers, as well as for physics and electrical engineering undergraduate students.